SAMUTPRAKARN, July 7 (Bernama) -- Thailand is addressing its foreign labour issue by setting up more one-stop service centres to register illegal migrant workers in the provinces and establishing close cooperation with its neighbours Cambodia, Myanmar and Laos. Today, it opened a centre in Samutprakarn province and will set up such centres in at least six more major provinces to register illegal migrant workers in order to address the human trafficking problem. 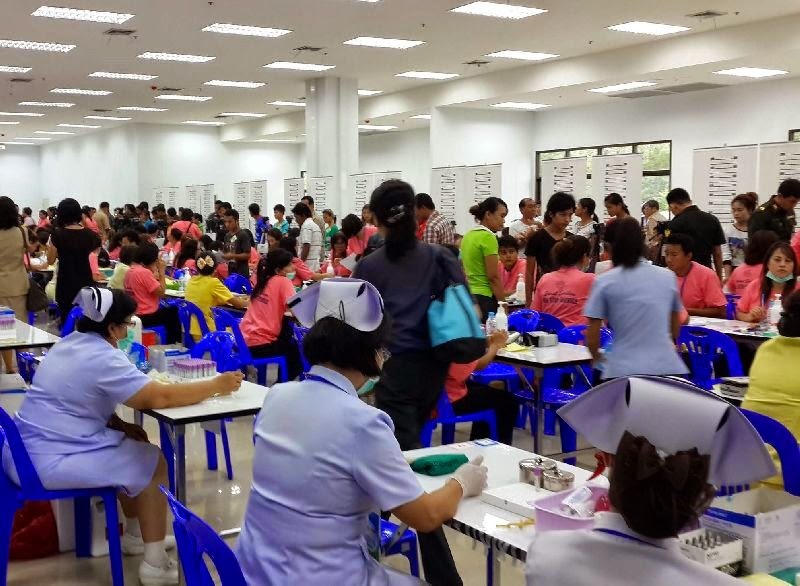 Samutprakarn governor, Pinit Harnpanit said the centre which opened in the province today expected to register about 1,200 workers daily or about 50,000 illegal migrant workers for the period from today until Aug 5. Speaking at a press conference, he estimated that 30,000 workers from Myanmar, 15,000 from Cambodia and 5,000 from Laos would register during the period. The registration will enable the workers to have a better quality of life with services such as welfare and other privileges. The seven provinces chosen as locations for the service centres are major economic areas with several industrial estates and tourist attractions. Apart from Samutprakarn (located near Bangkok), the other provinces are Chacheong-Sao, Chonburi, Rayong (in eastern part of Thailand), Ayuthaya (central Thailand), and Suratthani and Songkhla (southern Thailand). Previously, similar centres were set up at four border locations between Thailand and Cambodia, and in Samutsakorn province (central Thailand), which is known for its fishery and frozen food industry. Thailand has been quick to address the problem of illegal foreign workers in the country after concern was expressed in the US report on Trafficking in Persons recently. Due to what was perceived as a serious problem, it was downgraded to Tier III in the report, and thus facing possible sanctions by the US that could have an affect on Thailand's exports. To show its seriousness in addressing the issue and getting the cooperation of the major sources of those foreign labour, Thailand's authorities invited top diplomats from Cambodia, Myanmar and Laos to visit the centre in Samutprakarn. Ambassador Bounkham of Laos, ambassador Eat Sophea of Cambodia and ambassador U Win Maung of Myanmar visited the centre today. Bounkham praised and thanked the Thai military junta for setting up the centre which undertakes registration in only 45 minutes. He said the centre could also prevent many problems such as human trafficking and abuse or taking advantage of workers. Ambassador Eat Sophea said she was confident the centre would prevent labour smuggling as well. Meanwhile, ambassador U Win Maung called on employers and Myanmar workers to register at the centre for their own interest.